Revetize is a platform that features software for reputation management, lead generation, and interaction. It enables users to get reviews, gather leads, set transactions, and more. In this article, we cover Revetize reviews and pricing. Ready to get started? Request a demo. Users who gave Revetize a positive review like that it is easy to use yet is a powerful platform. They added that it has great customer service. One user who gave Revetize a positive review on Capterra love that it helped him get good reviews and referrals easily. He also likes that it will automatically get feedback instead of a rating if the review is negative. He added that it has a lot of other capabilities and is very user-friendly. As of the date this article was written (January 22, 2019), there are very few negative Revetize user reviews online. Some of them wished though for SMS customization and filtering options. It is notable, however, that most users are happy with the software in general. Revetize pricing is based on four paid subscription options: Single Package ($149/month/location), Double Package ($249/month/location), Full Suite ($299/month/location), and Enterprise (Custom priced). The main differences between the plans are the software included, the number of free messages per month, and the cost of the setup fee. Ready to get started with Revetize? Request a demo. 6 Best Customer Feedback Software: Customer feedback software automates the feedback process for consistent results by collecting shopper insights and delivering those insights to the business owner. The best programs are affordable, collect feedback across multiple channels, and provide businesses with actionable insights. We in this guide, examined dozens of customer feedback programs with features like these to arrive at the best overall. Is there an available mobile app of Revetize? Yes. 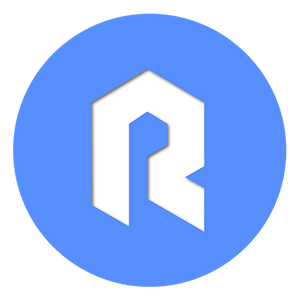 Revetize has a mobile app available for both Android and iOS mobile devices. Can users export leads generated from Revetize? Yes. Revetize allows exporting of generated leads and downloads them to an excel file. Have you read these Revetize reviews and are still not sure if it’s the right fit for you? Read our reviews of all top customer loyalty program software provider or check out one of these three Revetize competitors.